Senior galga available for adoption! UPDATE: Roberta has a new home! 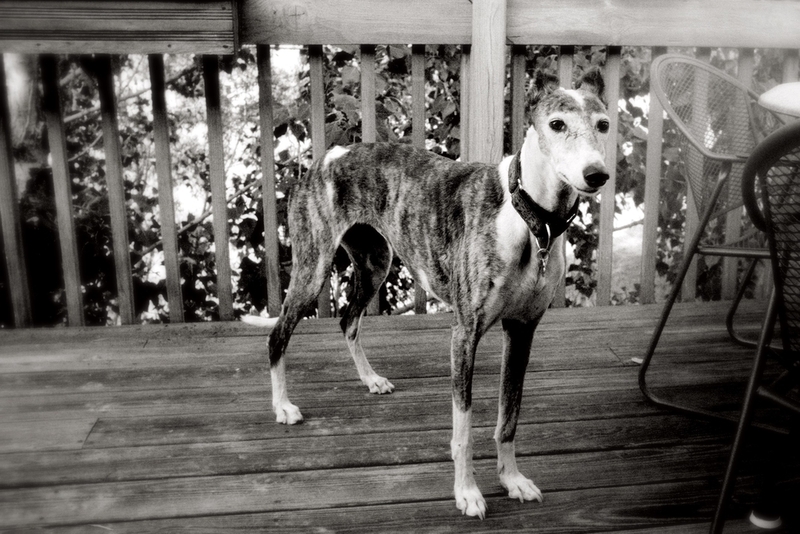 This lovely galga is approximately 11-12 years old, and she was quite fast and agile when she was younger. Based on her speed and prey drive, she was likely quite the hunter, though she doesn’t show any interest in cats outdoors. She has, however, gotten into a few tangles with raccoons that entered her yard, and she’s lost an incisor and a little skin and fur on her face due to those incidents. Roberta likes to be with people, and she loves walks, though she can sometimes become aggressive to other dogs. Though she’s not a fan of community dog parks, she loves to run off-lead in enclosed areas. As she has gotten older she requires more attention, and she sometimes will chew on houseplants if she doesn’t get her way. Her current owners’ schedule does not permit letting her out as frequently as Roberta requires at this point in her life, and she will sometimes have accidents in the house; this is exacerbated when the weather is cold, but it shouldn’t be an issue if you’re available to let her out more often. Like most sighthounds, she is sensitive to the cold, so she must wear a coat in the winter. She is bothered by lightning, thunder and fireworks, but a Thundershirt seems to help with that. Roberta has no major health issues, but she may be showing signs of glaucoma and hearing loss. She has had teeth cleanings, but like many of her senior greyhound cousins, she has lost at least half of her teeth. At this time, she has no problem eating dry kibble, and she still loves crunchy treats. 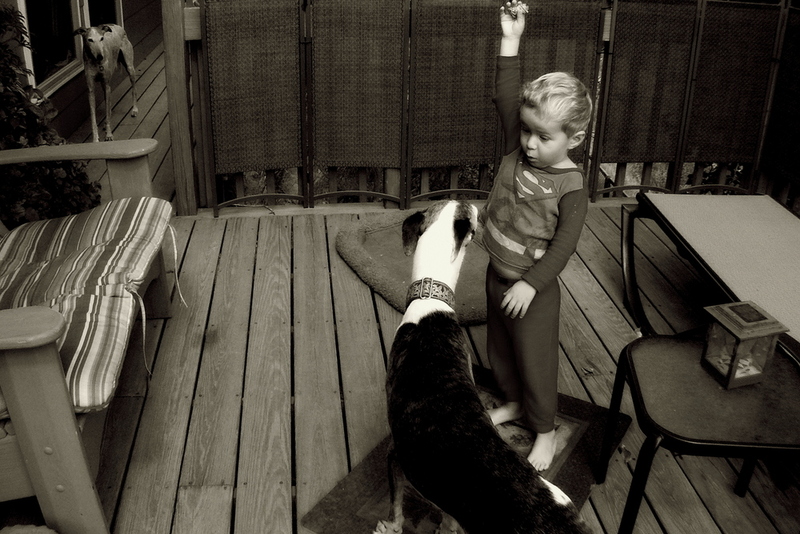 She currently lives in Colorado with a younger, more energetic galgo and seems to get along quite well with him. Please consider welcoming this lovely senior girl into your home!